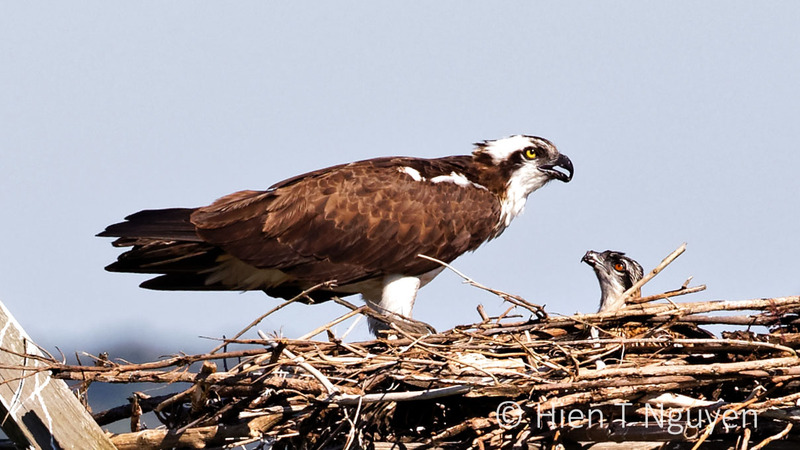 Love your Osprey series, Hien, awesome! Great series, something special about birds of prey. Wonderful captures and I love the narrative too! Remarkable captures! 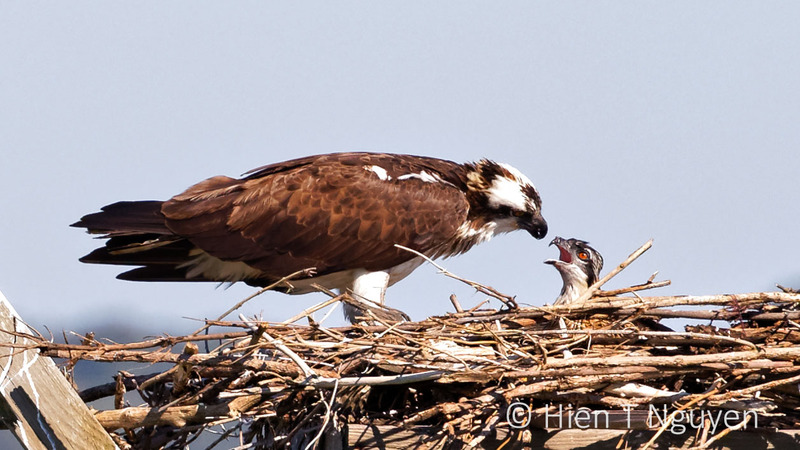 Thank you so much for sharing, Hien! Such perfect silhouettes! They really show the intensity of the eyes and that beak! The sun was shining at the right angle! Glad you like these photos, Diana! Thank you Doda! 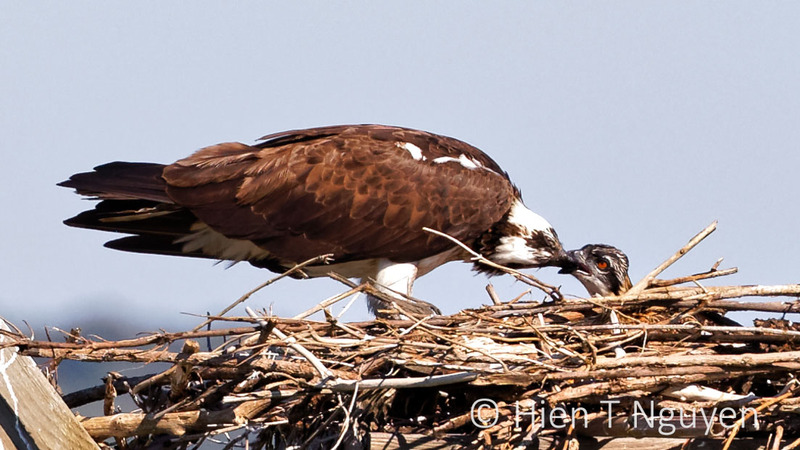 Maybe all mothers are like that Osprey. A delightful series, Hien — nice work. Taking care of young ones is universal among all beings, right? It must be wonderful to watch the adults caring for the young, with the bonus of getting great photos! Thank you Jerry! 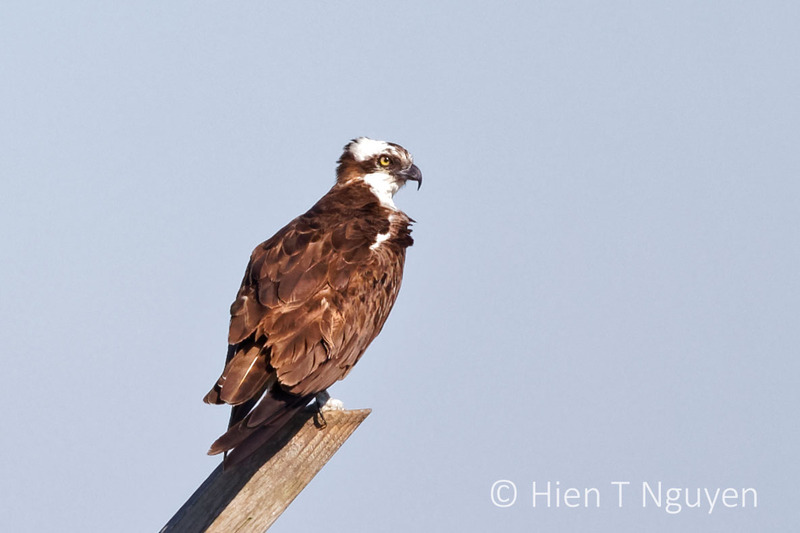 These Ospreys did not mind humans driving by in their carsm or even those like me who stopped to take pictures.